Songs from Guatemala performed during a previous Songs of Hope concert in Faribault. Minnesota Prairie Roots file photo July 2014. THE WORD HOPE holds power. Light over darkness. Joy over despair. Positive over negative. I cling to those four letters in this season of great discontent, anger and divisiveness in our nation. I hope. For better days—days when we respect our differences, when we get along, when we treat each other with kindness. 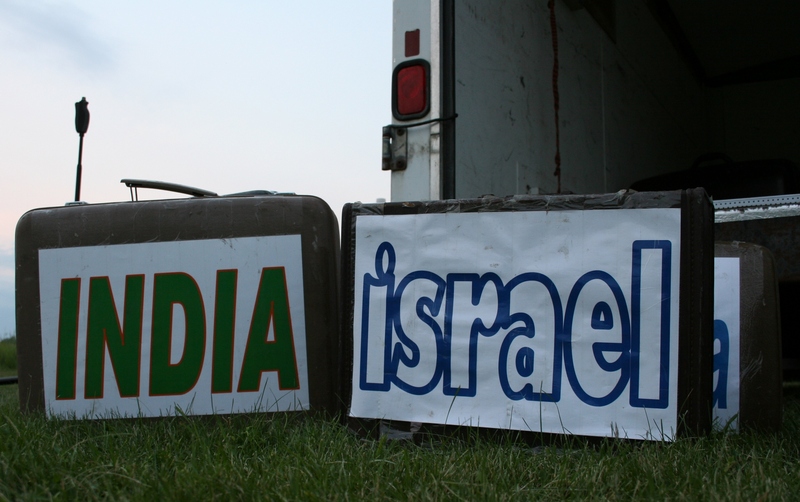 Songs of Hope performers present a selection from India. Minnesota Prairie Roots file photo 2014. More than ever, we need messages of peace, love and respect. 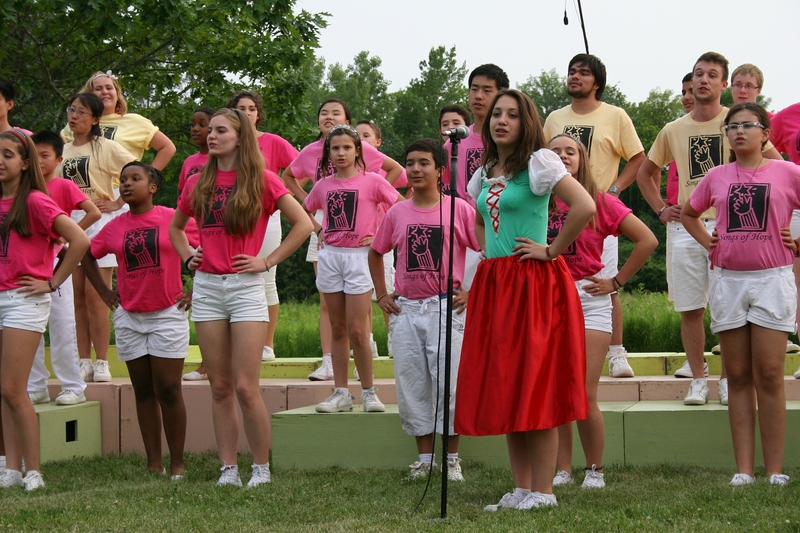 Like those of the St. Paul-based Songs of Hope International Youth Ensemble, performing a free concert at 7:30 p.m. Sunday, July 15, at the Paradise Center for the Arts in historic downtown Faribault. Selections from Jamaica included “Linstead Market” and “Stand Up For Your Rights” at the 2014 concert. Minnesota Prairie Roots file photo. My community, which has experienced its share of issues related to the cultural diversity of our city, needs to hear this music celebrating cultural diversity. 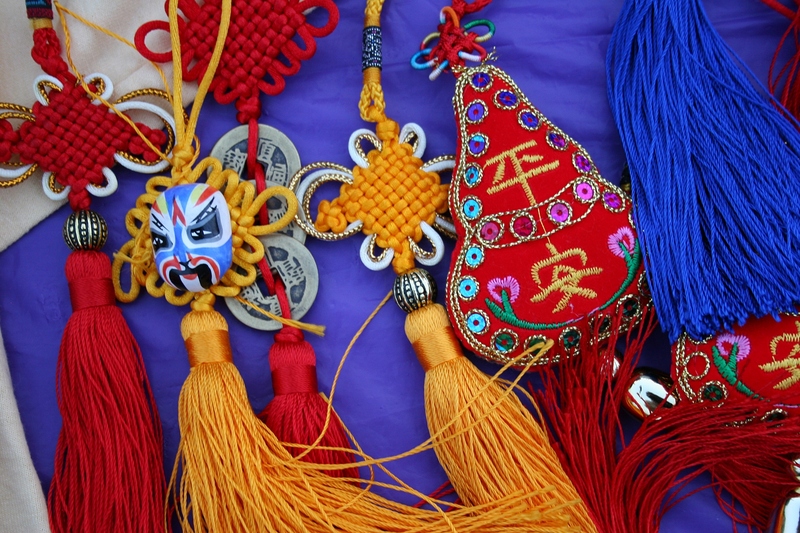 Ready to perform in traditional Chinese attire in 2014. Minnesota Prairie Roots file photo. These young people from all around the world will deliver. I attended a Songs of Hope concert in Faribault four years ago. 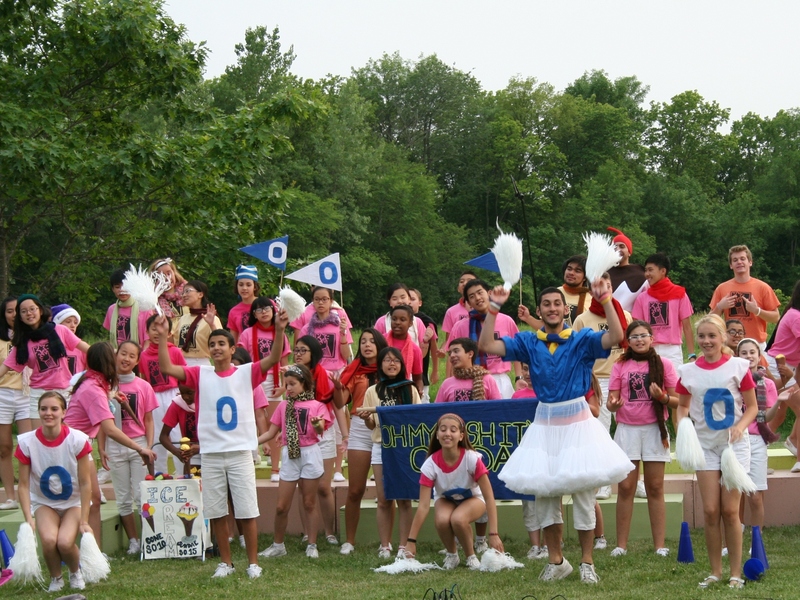 These attendees of a six-week performing arts summer camp totally rocked it with their energy, joy and singing. And messages of hope. 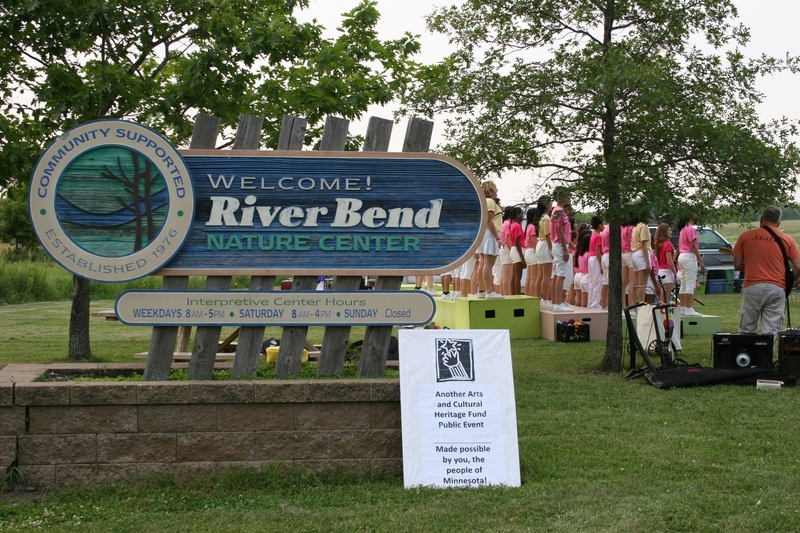 Waiting to perform at the 2014 concert at River Bend Nature Center. Minnesota Prairie Roots file photo 2014. I hope every single seat in the PCA theater is filled Sunday evening. With peoples of all races—from the many Somali immigrants who live downtown to our Hispanic families to the descendants of those who have always called Faribault home to individuals like me, a transplant from the prairie of southwestern Minnesota. Songs of Hope performers present a selection from India. IF EVER YOU DESPAIR in today’s young people, consider the youth participating in Songs of Hope, a six-week St. Paul based performing arts summer camp that is part of Sounds of Hope, Ltd. Labeled suitcases and stands denote countries of origin during featured songs. 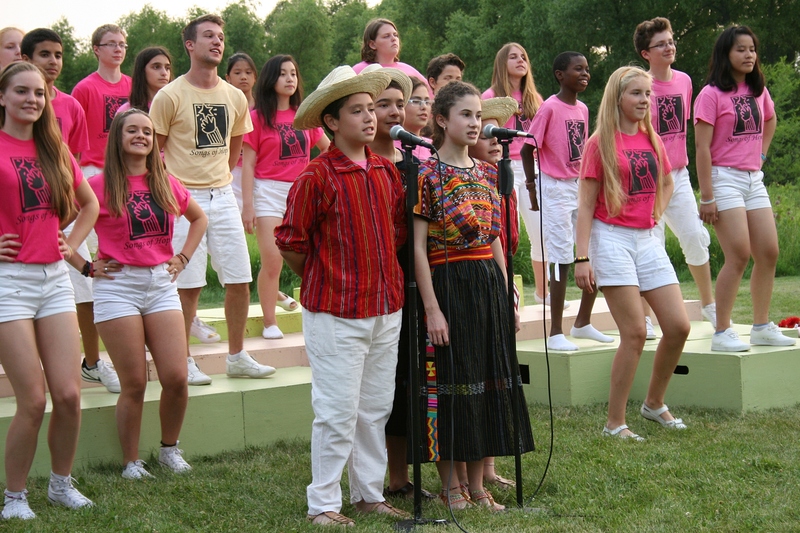 Consider these young people who travel from all over the world—places like Vietnam, China, Italy, Turkey, Israel and Guatemala—to spread messages of peace, hope, understanding and more via song and dance. 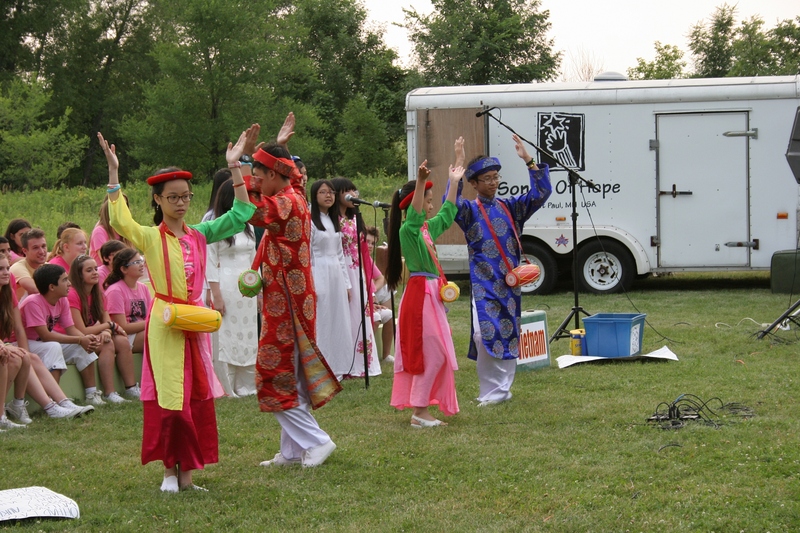 As the sun sets, performers in traditional Vietnamese attire present selections from Vietnam. 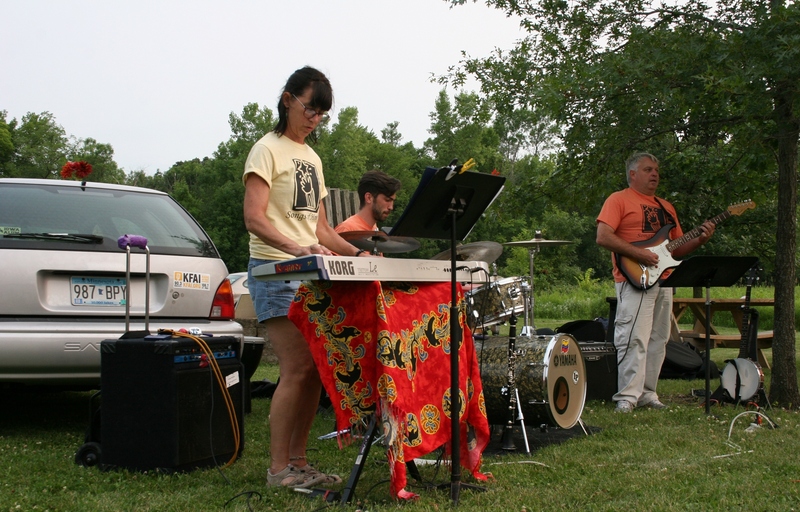 These musicians lifted my spirits during a 90-minute outdoor concert last Saturday at River Bend Nature Center in Faribault. Ready to perform in traditional Chinese attire. They give me hope that, despite the unrest in the Gaza Strip, the tense situation in the Ukraine, the continuing war on terror in Afghanistan, the situation along the U.S. southern border, and, yes, even the gun violence in Chicago, we can resolve our differences, overcome cultural and other barriers, and live in peace. 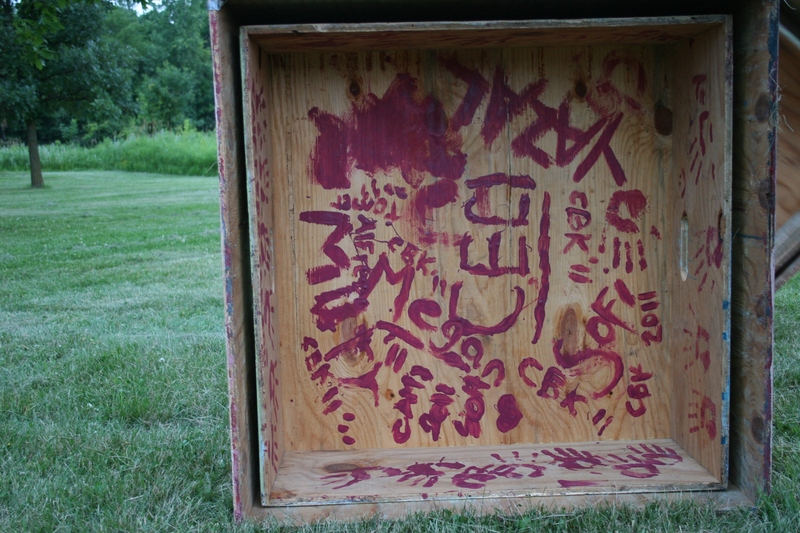 Participating youth from all over the world paint their names and hand prints on the underside of boxes upon which they perform. Hope, though sometimes an elusive word, is worth believing in. Song and dance from Vietnam. After the concert, goods from various countries and more were available for purchase. The young woman on the left is a native of Argentina who works as an opera singer in France. She’s in the U.S. for a month with Songs of Hope. A sample of the merchandise available for purchase. 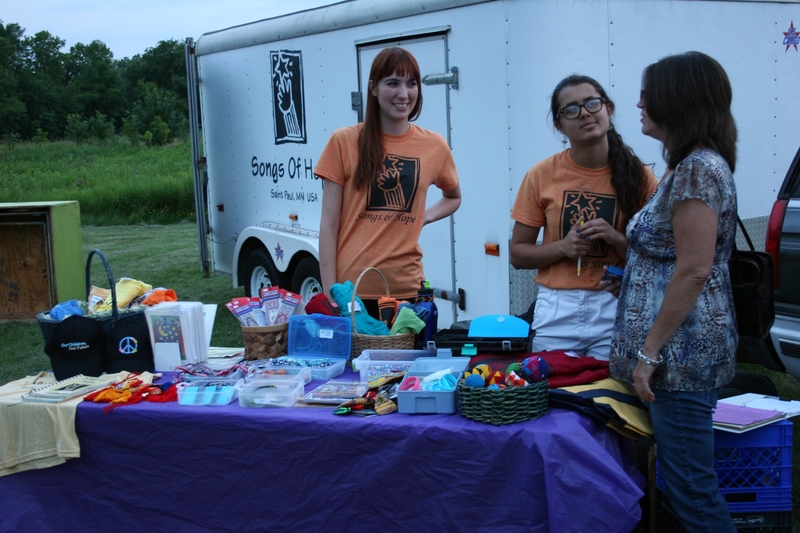 FYI: Click here to learn more about Sounds of Hope, Ltd.
And click here to view my previous blog post on the Songs of Hope concert in Faribault. 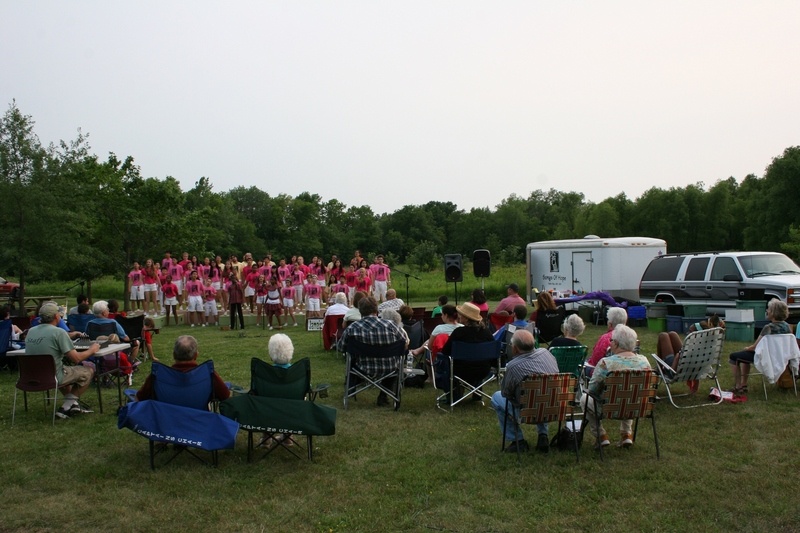 On a perfect summer night, Songs of Hope performed an outdoor concert at River Bend Nature Center in Faribault. 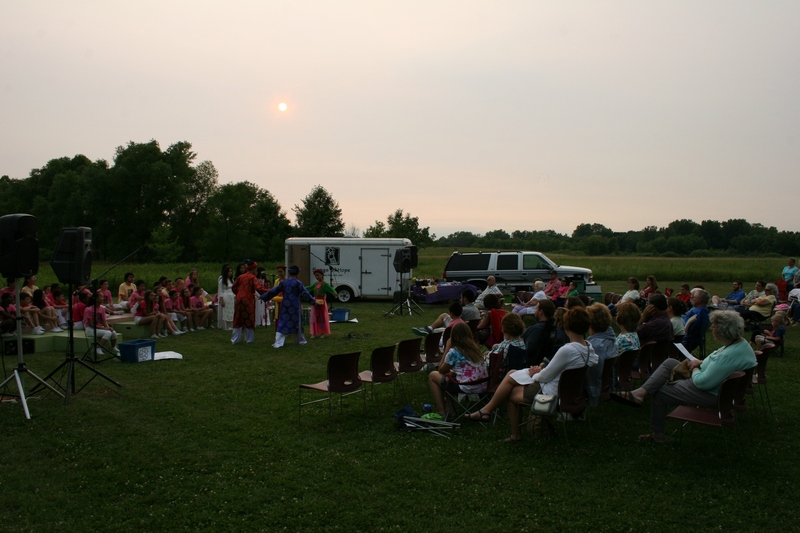 AS THE GOLDEN ORB of the sun shifted across the sky, as dragonflies dipped above the audience, as a distant train rumbled, Songs of Hope musicians performed before a rapt audience at River Bend Nature Center in Faribault on Saturday evening. The performers focused on hope, like their name. And the message they brought—in their dancing and in their singing—was hope. Inspirational defines these performers who have been attending the St. Paul based international performing arts summer camp, Songs of Hope. Seventy musicians from 15 countries are currently on tour, presenting 33 concerts in 18 days. 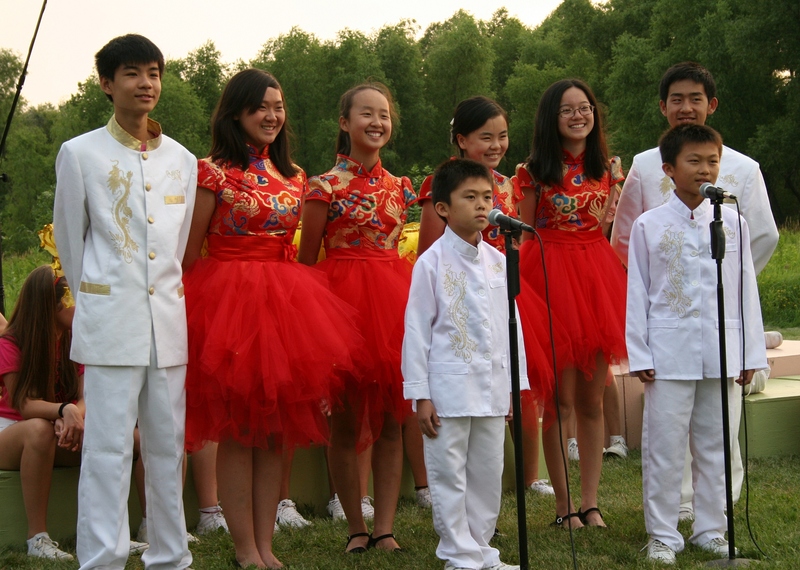 Chinese youth perform as the sun sets. Songs of Hope is “about people getting together and sharing culture and lives,” Program Director Tom Surprenant said as he introduced the group. Performing outdoors at River Bend. I was beyond impressed by these young people who sang with such force and enthusiasm and rarely stopped moving as they presented 90 minutes of songs spanning multiple nations from India to Jamaica to Guatemala to Italy to Russia and many other places. The band provided upbeat music that makes you want to dance. Even though I could not always understand, music bridges language and cultural differences. Truly, skin color, eye shape, height nor any other physical characteristic mattered as these youth performed. Nevaeh, the daughter of friends, wore the perfect shirt for the concert. They were to me just kids sharing a hopeful message through song and dance, showing us that we are all human beings who can get along if we make the effort, living in harmony and peace with one another. Look at the fun these youth had singing “I Scream, You Scream, We All Scream,” a song about ice cream, a universal treat. After attending this concert, I am, indeed, hopeful. My heart went out to this boy from Israel given the current situation there. FYI: CLICK HERE to see a schedule of the remaining performances in the summer concert schedule, which ends on July 27. The final concerts are in St. Paul, Roseville and Montgomery. 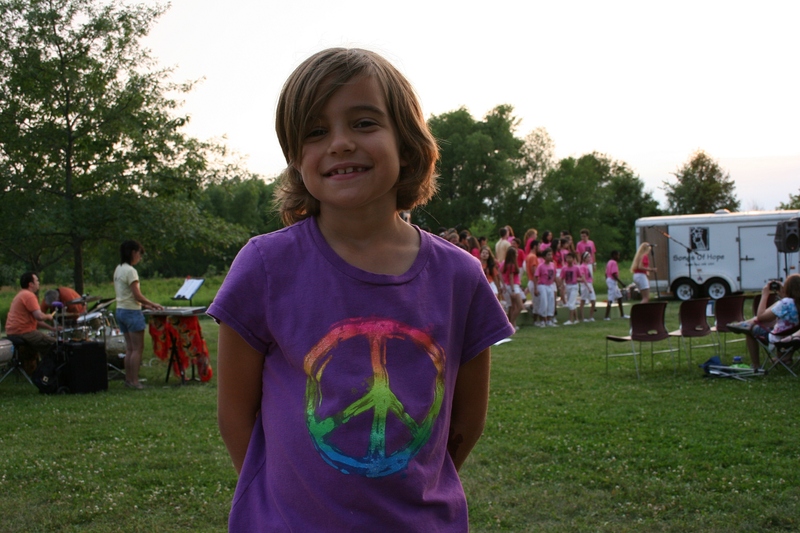 Please check back tomorrow for additional photos from the Faribault Songs of Hope concert. If you have an opportunity to attend a performance, do. Songs of Hope will inspire and uplift you.